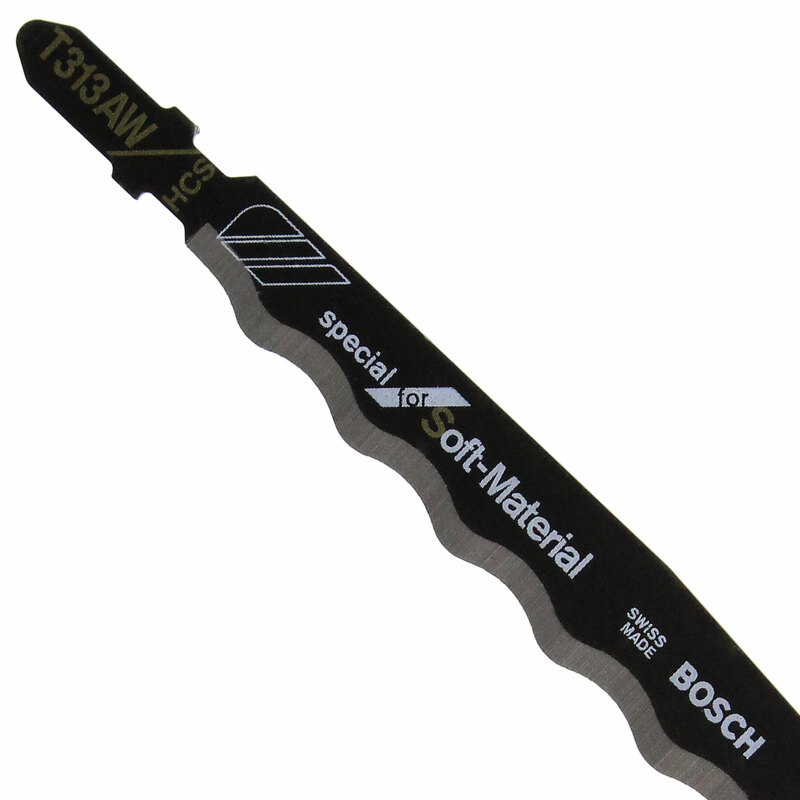 Product information "Bosch T313AW HCS Soft Material Jigsaw Blade (3 Pack)"
No more splinters and tears! 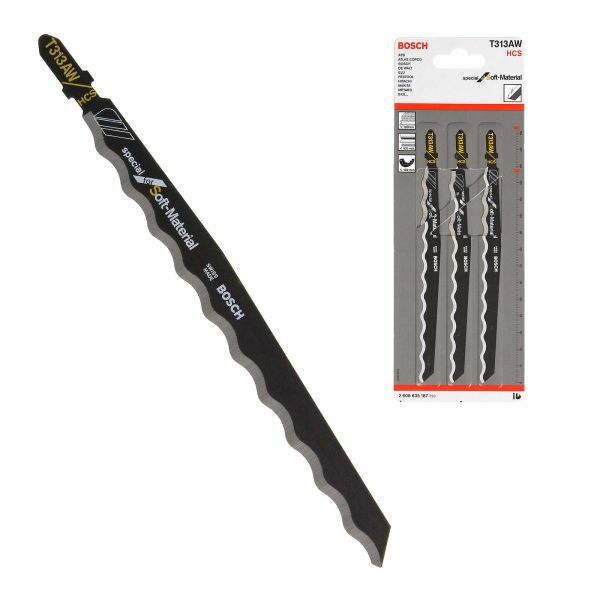 Pack of 3, HCS (High Carbon Steel) blades with ultra sharp smooth serrated ground knife edge. Produces exceptionally clean cuts through multiwall polycarbonate sheets to eliminate cracks and swarf. Designed to be versatile, the BOSCH T313AW is the blabe of choice for many soft materials, such as polystyrene, insulation materials, rubber, carpet, leather, cardboard and many other soft materials. 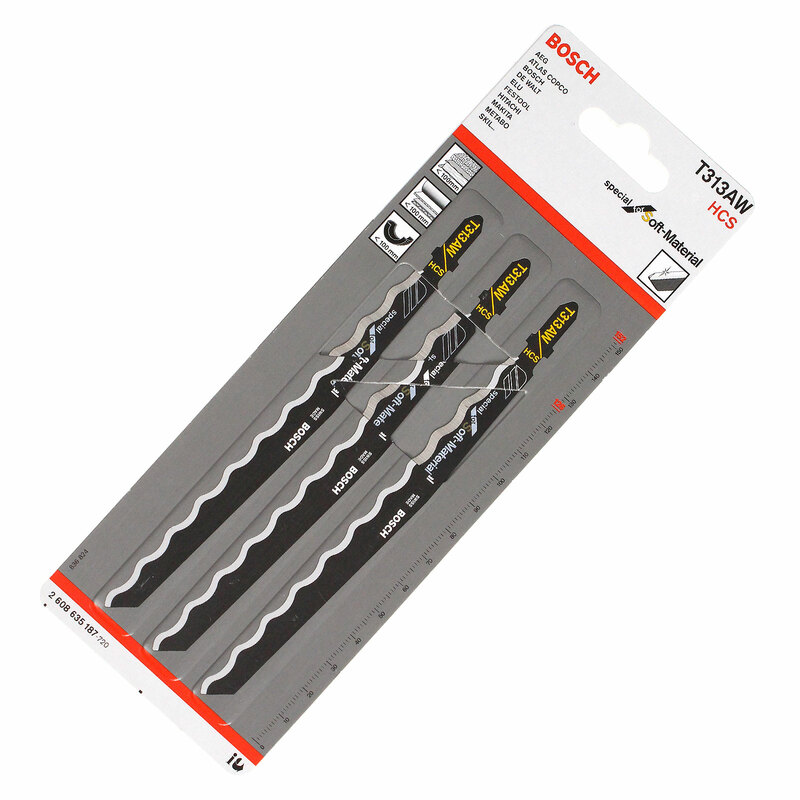 The pack includes 3 x BOSCH T313AW multi-purpose jigsaw blades. 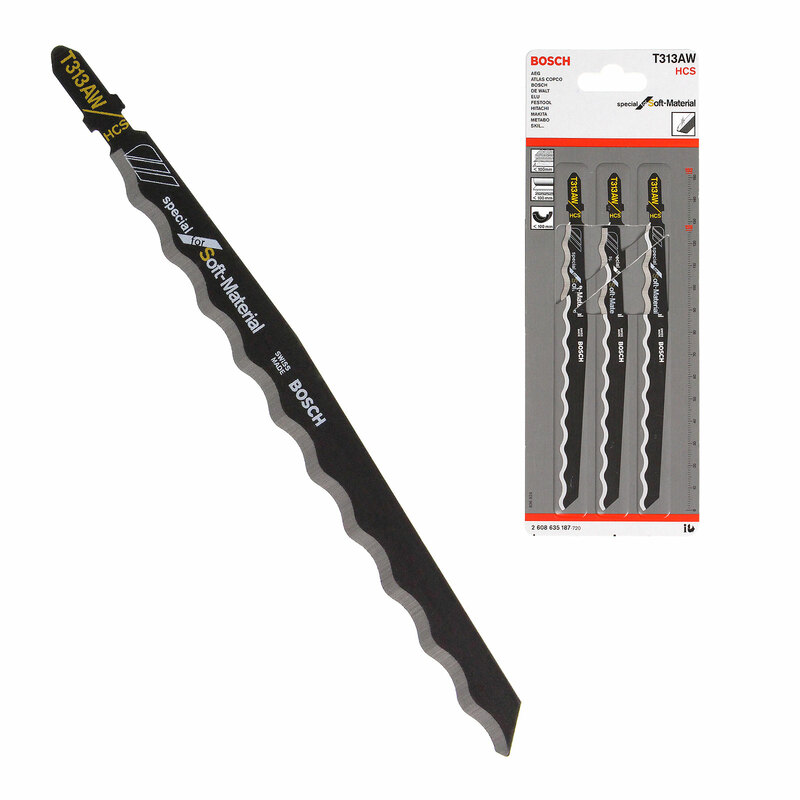 Related links to "Bosch T313AW HCS Soft Material Jigsaw Blade (3 Pack)"
Customer review for "Bosch T313AW HCS Soft Material Jigsaw Blade (3 Pack)"